In 1791, Otsego County was formed from Montgomery County. It consisted of the Towns of Cherry Valley and Otsego. 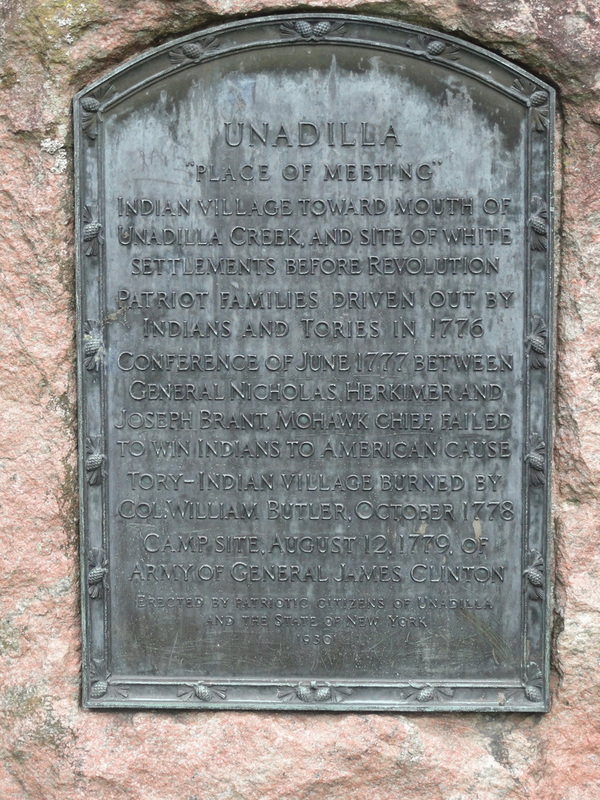 The following year, the Town of Otsego was divided and the southern half became the Town of Unadilla. The original town encompassed a much larger area than the present town. In 1801 the New York State Legislature divided Otsego County into the present towns so the Town of Unadilla, including the village, celebrated its bicentennial year in 2001. The village was separately incorporated in 1828 and again in 1889. Transportation has often been a key factor in the early development of cities and towns. In the late 18th century, Sluman Wattle began a ferry across the Susquehanna River near the present eastern boundary of Unadilla. In 1800, the Catskill Turnpike began operating between Catskill on the Hudson River and Wattle's Ferry on the Susquehanna. Related closely to the opening of this road was the first local commercial development. 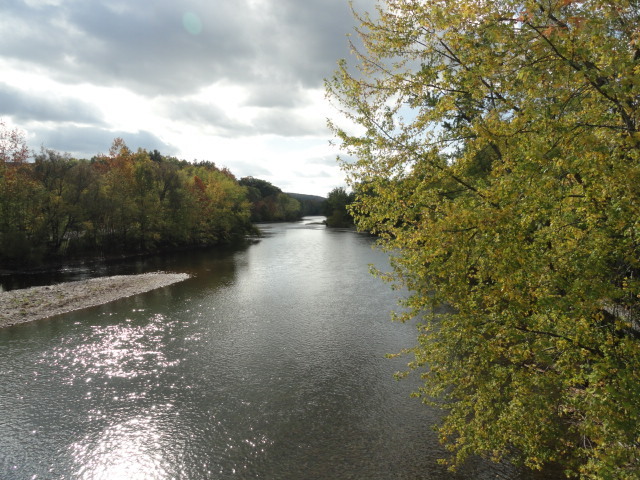 During the decades after the Revolution, Unadilla, like other frontier settlements along the Susquehanna River, experienced a period of growth. Local citizens built retail stores, tobacco/cigar factories, saw and gristmills, churches, bridges and a school. Transportation expanded and changed when the Chenango Canal displaced the Catskill Turnpike in importance as a transportation link. The opening of the Albany and Susquehanna Railroad in 1851 provided Unadilla with excellent access to the expanding eastern markets and displaced the canal. During the 19th century, the population of the town was heavily concentrated in farming. Corn, wheat and rue were the most important crops. While these grains were being cultivated in the town, a distillery was established in the village. As the 19th century drew to a close, dairying became the mainstay in local agriculture. The sloping hills were suited to raising sheep and later to dairying; the expanding population in eastern cities provided the farmers with a strong market there and even as far away as Europe. As dairy farming increased and a creamery was built, some farms became less self-sufficient and, correspondingly, commercial activity in the village increased. Village retail stores, many on the first floors of residences, supplied the area farms with dry goods and staples. Several small industries developed during the 19th century. One of the first was the tannery built by John Eels in 1812 in back of the Van Cott lumberyard and was still in operation in 1847. More mills were built as grains continued to be cultivated and some lumbering also took place in town. The present York Modern Machinery Company was built on the site of one of these early mills. The Unadilla Silo Company was established by the Van Cott family in 1909. During the early 1900's, the Tie Company, a maker of quick release cords first developed for mailbags and still widely used in various industries today, moved from Sidney to Unadilla and the Hanford Wagon Works, in business for 60 years, was founded on the site of the present Ames Handle Company.